The Art + Research Collaboration (ARC) programme is a practical taught Masters delivered over 18 months in Dublin city centre. The programme connects art with many other disciplines and was developed in consultation with project partners Dublin City Arts Office, led by the LAB, the Irish Film Institute (IFI) and the Irish Museum of Modern Art (IMMA). ARC is open to artists, critics, curators and those working with art in many other roles. Current students and graduates have developed projects connecting art with archaeology, architecture, computing, craft, design, education, engineering, fashion, fiction, film, history, geography, geology, media, philosophy, psychology, publishing, science and theatre. Modules are taught primarily off-campus on Thursdays and Fridays, at the LAB on Foley Street in Dublin 1 or at the IMMA studios in Kilmainham. 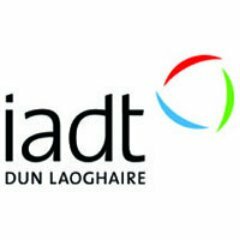 All ARC students have full access to project-based studios, art production facilities and technical training workshops on the main IADT campus. ARC also regularly devises events and projects in collaboration with other organisations, such as The Dock, Highlanes Gallery, Pallas Projects, PLASTIK Festival and Temple Bar Gallery + Studios. ARC is a highly practical programme and students are encouraged to install and present their work in a variety of studio, rehearsal and gallery contexts. They also benefit from full access to the IADT art studios during the summer months. Students also get professional practice guidance on their Major Project including advice on funding from public and private sources, fabrication, insurance and public liability. Through the lecture and seminar programme, ARC students explore the context for their own practice and question how art intersects with other fields of enquiry. ARC students are also regularly invited to present their work to professionals in the art world. Visiting artists, critics and curators in 2016-18 included Basic Space, David Beattie, Moran Been Noon, Catalyst Arts, Mary Conlon, Damien Flood, Jennie Guy, Isobel Harbison, Emma Haugh, Alissa Kleist, Jaki Irvine, Sasha Litvinseva, Peter Maybury, Paul McAree, Gavin Murphy, Nathan O’Donnell, Marguerite O’Molloy, Matt Packer, Livia Paldi, Sue Rainsford, Read That Image, Linda Shevlin, Lucy Steeds (Afterall publications), Kate Strain and Marysia Wieckiewicz-Carroll. In year one (October – May), students participate in tutorials, group critiques, seminars and lectures. They also have an opportunity to collaborate with an external organisation. Previous projects have included exhibitions, performances and publications, such as ‘The Beholder’s Share’ (2015), ‘Statecraft’ (2016) and ‘ROSC: Fiction of the Contemporary’ (2017), at the Irish Museum of Modern Art and ‘The Turf Depot’ (2017) at the Oonagh Young Gallery. In year two, all students complete an individual Major Project in their chosen form. This year, 2016-17, ARC students presented their work in exhibitions, performances, product launches, screenings and panel discussions at various public venues, including The Darkroom, The Chocolate Factory, IFI, the LAB, Millennium Court Arts Centre and St. Stephen’s Green. Students can devise books for publication by ARC Public Press and support is also available for those wishing to develop funding applications for PhD research. ARC graduates have launched new businesses in fashion and woodworking (Jai Thorn and J Ross & Sons), scripted and directed short films (Susan Gogan) and authored publications (Theo Honohan and Fiona Gannon). Graduates of MAVIS, which preceded and guided the development of ARC, include Mary Cremin (Director of Void Gallery), Cleo Fagan (founder of Superprojects), Jennie Guy (founder of Art School), Georgina Jackson (Director of the Douglas Hyde Gallery), Rosie Lynch (co-founder of Nimble Spaces), Mark Cullen and Gavin Murphy (Co-Directors of Pallas Contemporary Projects) and Kate Strain (Artistic Director of Graz Kunstverein). Students complete 60 ECTS credits in year one, attending classes on Thursdays (10am-5pm, October – May). They complete 30 ECTS credits in year two, attending classes on Fridays (10am-1pm, October-January). Introduction to critical,theoretical and ethical frameworks for art research, explored through case studies. Weekly tutorials focused on planning and resourcing of each student’s self-directed art research project, with guidance on project objectives and strategies. Implementation of project plan, supported by weekly tutorials, with input from visiting artists, curators, writers and academic specialists. Entry Requirements The course is open to graduates from any discipline area and all applicants must submit a Project Proposal. Please check the IADT Postgraduate application form, or contact maeve.connolly@iadt.ie for guidance on the Project Proposal.Applicants must have an undergraduate qualification of 2nd Class Honours or higher at Honours Degree level, or equivalent experience.Shortlisted applicants may be called for interview.Two references must also support your application. Carear Path ARC graduates have launched new businesses in fashion and woodworking (Jai Thorn and J Ross & Sons), scripted and directed short films (Susan Gogan) and authored publications (Theo Honohan and Fiona Gannon).Graduates of MAVIS, which preceded and guided the development of ARC, include Mary Cremin (Director of Void Gallery), Cleo Fagan (founder of Superprojects), Jennie Guy (founder of Art School), Georgina Jackson (Director of the Douglas Hyde Gallery), Rosie Lynch (co-founder of Nimble Spaces), Mark Cullen and Gavin Murphy (Co-Directors of Pallas Contemporary Projects) and Kate Strain (Artistic Director of Graz Kunstverein).